We are pleased to be partners on the report. We not only funded its production but were also part of an advisory committee who reviewed the research and advised the researcher and author Paul Armstrong. Thanks to everyone involved. Click here to view the most recent Housing is Fundamental Report. Click here to read the Peterborough This Week’s article on our World Homeless Day Summit. 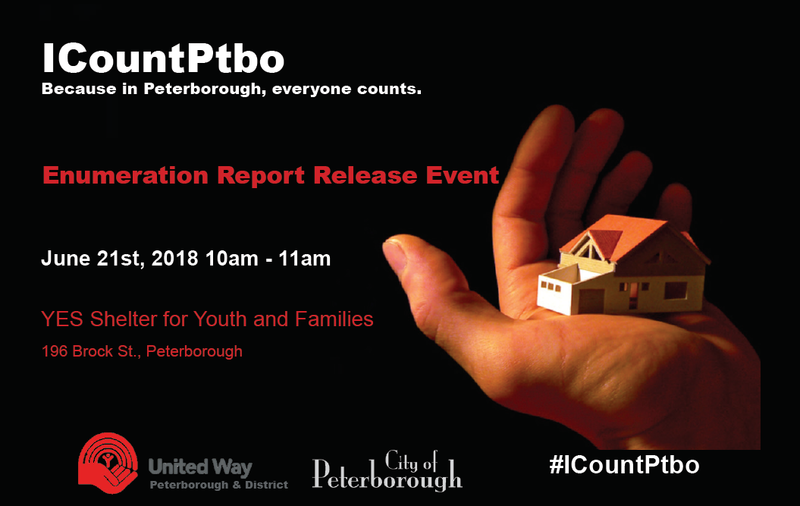 Every two years, the Homelessness count shows the community a snapshot of housing and homelessness in Peterborough City and County. It offers us a chance to reflect and understand the supports needed to assist those in accessing a home. 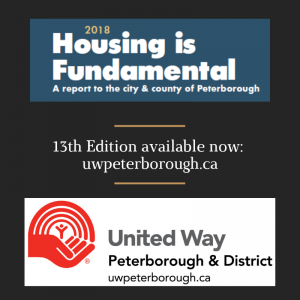 Information on homelessness is essential to understand the nature and extent of homelessness in the City and County of Peterborough, the needs of individuals and families experiencing homelessness, to plan services, and measure progress towards ending homelessness. 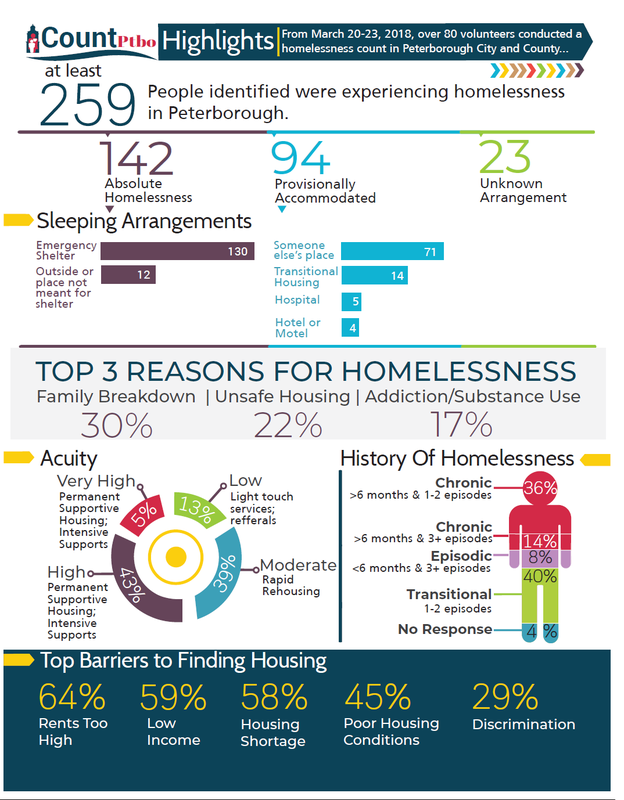 The 2018 Homelessness Enumeration Report provides a profile of homelessness in our community based on the homelessness count and surveys conducted in the City and County of Peterborough from March 20th to March 23rd, 2018. Between March 20 to March 23, 2018, 364 people were approached and 200 surveys were completed. At least 259 people identified were experiencing homelessness in Peterborough. This includes 142 people who are unsheltered or staying in Emergency or Domestic Violence shelters, this also includes 94 people who are experiencing hidden homelessness. Survey locations included 17 City, 11 County and 9 street routes. Over 80 volunteers committed more than 400 hours and found that homelessness occurs across all demographics including children under 18 years of age. Click here to view the key findings. iCountPtbo – preliminary results are in! The preliminary results are in! 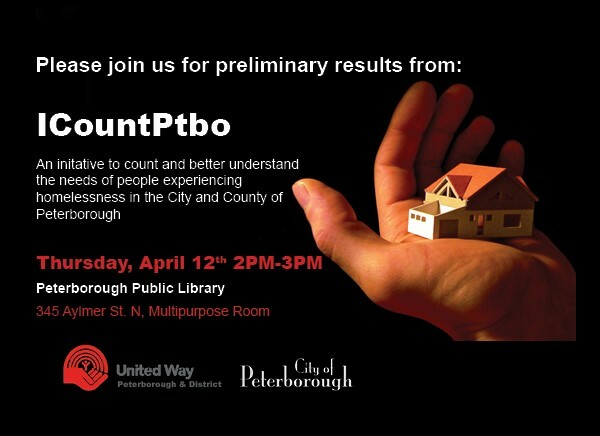 Please join us on Thursday April 12th from 2-3pm in the Multipurpose Room at the Library, where we will be sharing some initial results from ICountPtbo. It’s an opportunity to learn more about the people experiencing homelessness in our community and what this means for our homeless service system. RSVP by clicking this link! Are you couch surfing, sleeping outside, or homeless? Call us at 705-742-8839 March 20 6pm-11pm, March 21-23 9am-5pm. Drop by one of the survey locations listed by clicking here. If you are age 16-24, come to our youth event March 21st 4PM-7PM at the Library. Click here for details. If you’re out and about on March 20, you may be approached by a volunteer to complete the survey. Volunteers will also be conducting surveys in the shelters and warming room. The following service providers will also be conducting surveys with their clients. If you are a client of one of these organizations, please ask staff about how to complete a survey. Click here for information about how you can volunteer for our upcoming #iCountPtbo Homelessness Enumeration. Mandatory Volunteer Training: Volunteers MUST attend one of the following volunteer training sessions. Read our Media Release here! What’s happening? – Peterborough is conducting a week long initiative to better understand the needs of people experiencing homelessness. For four days, from March 20th to March 23rd, trained volunteers will be conducting short surveys in Peterborough City and County. The goal is to know every person experiencing homelessness in our community by name and to help them get connected to available housing and support services as quickly as possible. Why is undertaking homelessness count important? 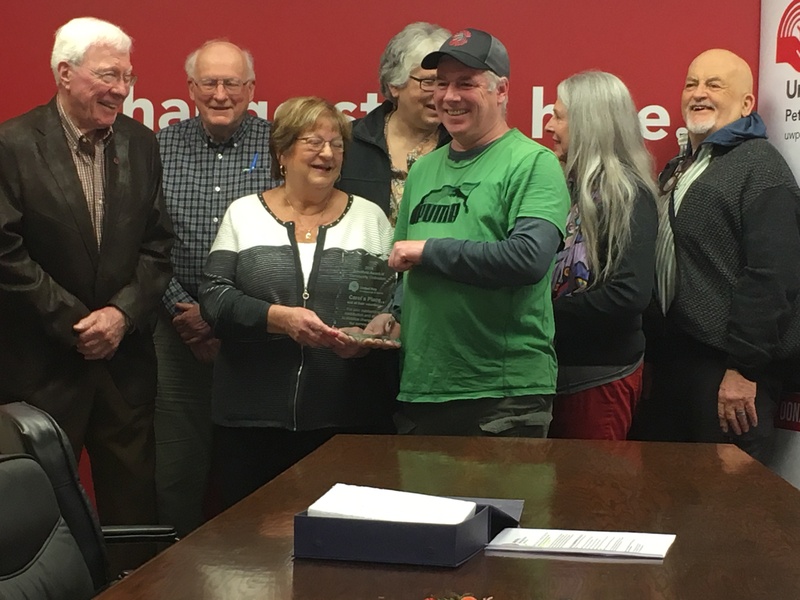 Community partners working to change homelessness in Peterborough want understand the needs of the homeless population in order to best inform planning and investments. 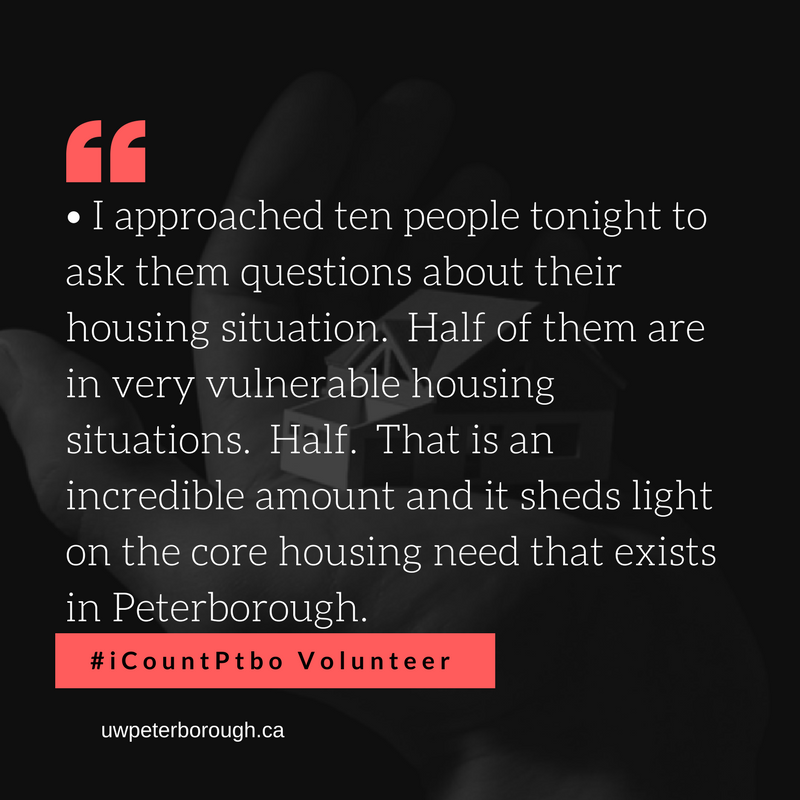 This process will ensure everyone experiencing homelessness is accounted for, will assist in understanding the big picture of need and level of vulnerability of people experiencing homelessness across Peterborough, and help to plan and better allocate responses and supplement effective programming. It will provide information and allow us to measure progress towards ending homelessness. It will increase public awareness about homelessness. Our count is part of a cross-Canada initiative. The results of our PiT Count will contribute to a better understanding of homelessness regionally, provincially/territorially and nationally. The initiative is also a requirement of the Province for all Social Service Managers to conduct counts of people experiencing homelessness in their communities. It is not simply about enumerating homeless persons; it’s about catalyzing change at the local and national levels to end homelessness. How will it work? – Teams of trained volunteers present on the streets, in shelters, drop-ins and other community service locations over March 20th to 23rd and conduct a short housing and homelessness survey with anyone experiencing homelessness who wishes to participate. The data collected will be compiled and shared back at a Community Debrief session on April 3rd for anyone interested in hearing more about the results and the next steps. Unsheltered (outside) Teams stop every person they encounter in outdoor study areas in public places. This information is used to calculate an estimate of the number of people sleeping outdoors on the night of the survey. Sheltered (inside) Staff will collect the actual number of people who are homeless and staying in temporary shelter. Unsheltered, Sheltered, and Hidden Volunteers will conduct a needs assessment surveys with people who are homeless and willing to be surveyed. What will we do with this information? – The count includes invitation for participants to share their name and contact information. The names collected will be organized based on each individual or family’s needs, and as different resources become available, the households will be matched with the most appropriate resource. This could include affordable housing, financial supports, supportive housing or private market units. A report on the key findings from the initiative will be released in June. The data collected will also contribute to a cross-Canada picture of homelessness. How can people get involved? – Anyone interested in ICountPtbo can sign-up for our mailing list, or follow us on Twitter. Volunteer opportunities will be shared through those channels. We need volunteers to help conduct the surveys over four days from March 20th to 23rd. Volunteer training will take place on March 7th from 12-2pm and 6:30-8:30pm. Anyone interested in learning more about the results and the next steps should attend the Community Debrief session on April 3rd. Will we count everyone who is experiencing homelessness? – We know we won’t capture everyone through ICountPtbo, but we will reach as many people as we can, and our numbers from the count in shelters and the streets will represent a minimum number of people experiencing absolute homelessness (unsheltered or in shelters). 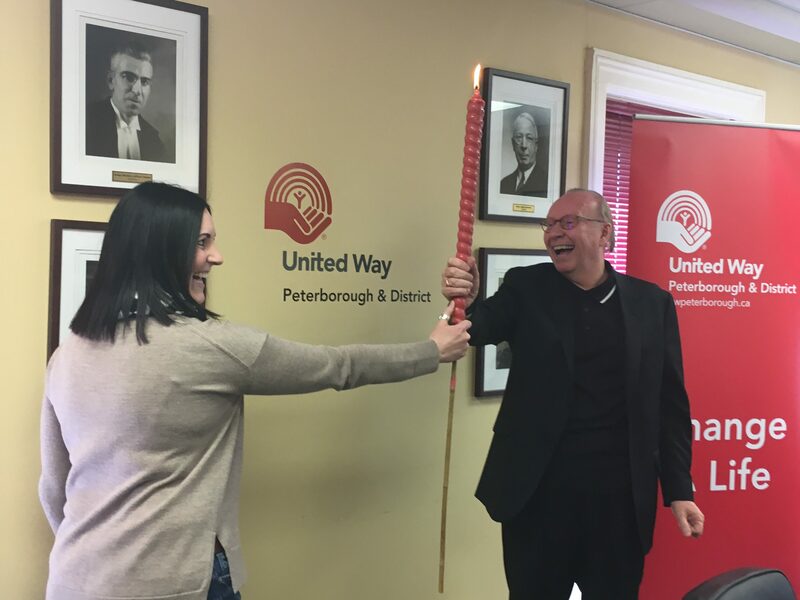 Peterborough agencies have agreed to continue to survey and connect with people on an ongoing basis, past the week long count to understand levels of need and connect people to appropriate resources for housing and supports. How will we ensure that highly vulnerable populations are not put at further risk? Training: all ICountPtbo volunteers are trained to deliver the survey respectfully and safely. The privacy and confidentiality of survey participants is our utmost priority. Participation in the survey is completely voluntary and every effort will be taken to maintain the confidentiality of people experiencing homelessness. Data obtained from the surveys are aggregated so that the published results cannot be used to identify people. Resource Cards: We will use ICountPtbo as an opportunity to provide information on available services. Resource cards will be provided to those who show interest, regardless of their participation in the survey. Why is a National Count taking place? Historically, it has been difficult to compare data on homelessness across Canadian communities. One of the greatest barriers to comparability is the difference in data collection processes used across the Country. As such, federal government requires that all participating communities ask a set of Core Survey Questions. The Core Questions include items intended to identify whether the respondent is homeless for the purpose of the count, to provide some demographic information about the homeless population and to highlight potential service needs. 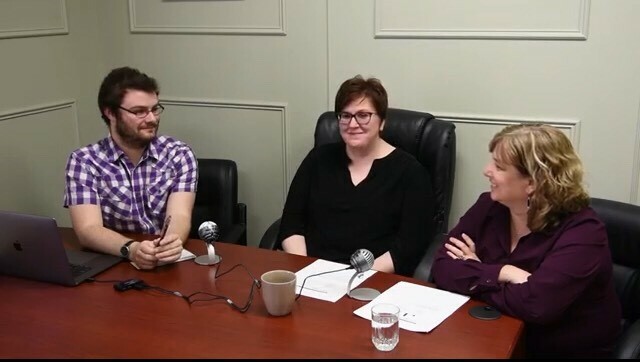 Communities can now compare their data with other communities regionally, provincially and nationally. A coordinated survey puts us one step closer to a national picture of homelessness! What’s included in the ICountPtbo survey? 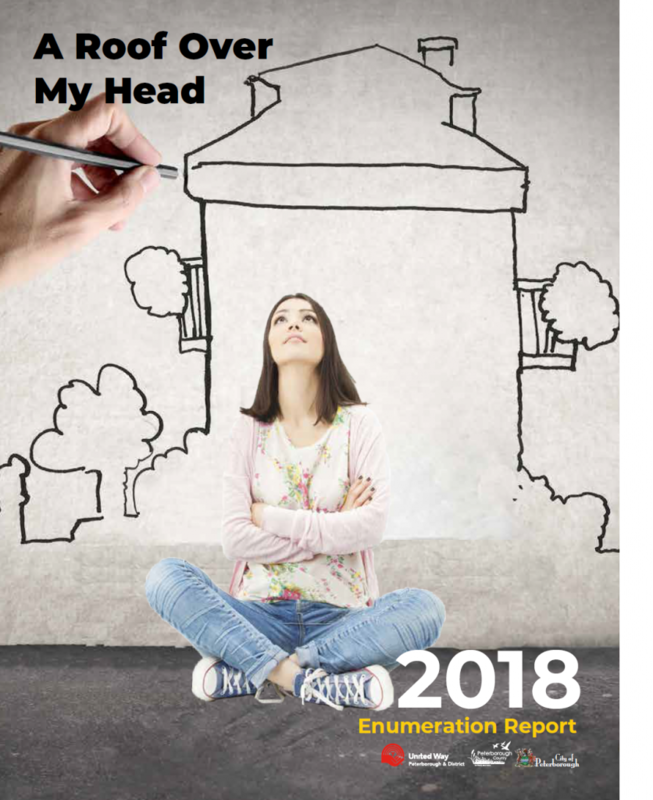 The methodology and survey design were developed through extensive research and consultation with experts along with feedback from Canadian communities that have previously conducted counts. The survey method used is that recommended for use by the U.S. Department of Housing and Urban Development (HUD) to ensure a statistically valid survey methodology. A widely endorsed quality assurance method is in place to aid in ensuring that the outdoor estimate is as accurate as possible. The survey questions, asked by volunteers to gather data on people who are experiencing homelessness.